For the past few years we have held our coffee morning out of our Portakabin on the Axhayes site - this has not been ideal as it is an important workspace for the centre and is very small. To help with our fundraising events our friends of group donated to us a new tea room to be used for our events! We now have a large summer house style cabin on site which had its grand opening as 'The Scratching Post' tearoom at our Easter coffee morning. It was decorated accordingly and tea and coffee facilities were provided. The new tearoom has a lot more space and is set out in our gardens this makes a more welcoming and social atmosphere for our coffee mornings. During the summer months we will be able to utilise the space outside the tearoom so customers can sit out on the lawn to enjoy their cake and coffee and have extra stalls such as plant sales. Check out our events page for future coffee mornings. 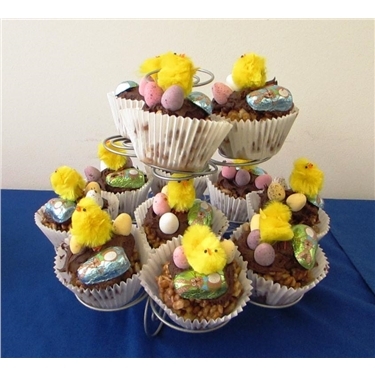 We were able to raise £267 for the centre at our Easter coffee morning through sales of hot drinks, cakes and raffles! We have lots of work still to be done on our new tea room to help our events run smoother and ultimately raise more money for the cats in our care!